Item number 2946/47 from the MOA: University of British Columbia. 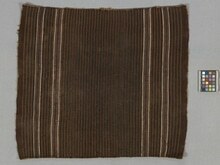 Small woven altar cloth. 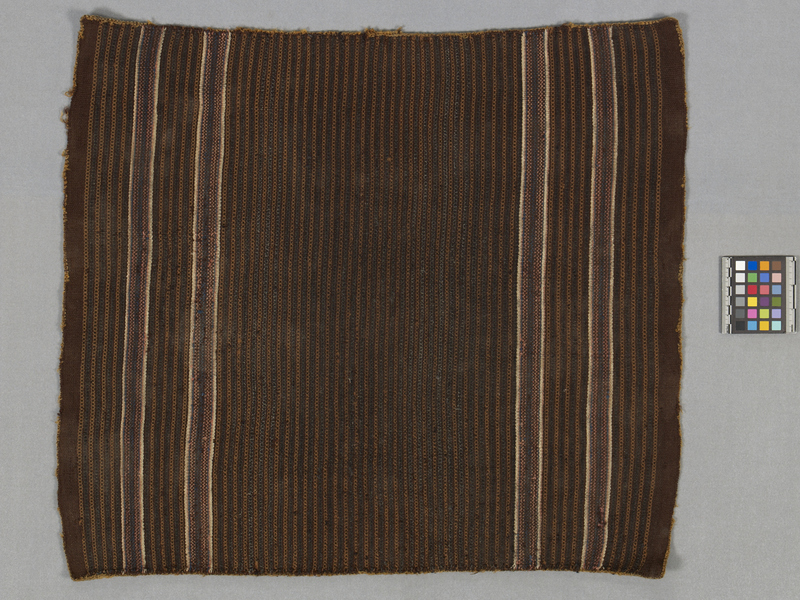 Rectangular, brown, cloth with patterned vertical bands. The sides have thick, plain, brown stripes. There are two thick, multi-coloured lines with tan edges on each side. The edging alternates between dark and light brown. Quechua ? or Aymara ?